CATHOLIC GIFT SHOP LTD - Plastic Lourdes Water Bottle Containing Lourdes Water. Plastic Lourdes Water Bottle Containing Lourdes Water. Lourdes plastic bottle containing Lourdes water, depicting the apparitions and Bernadette. 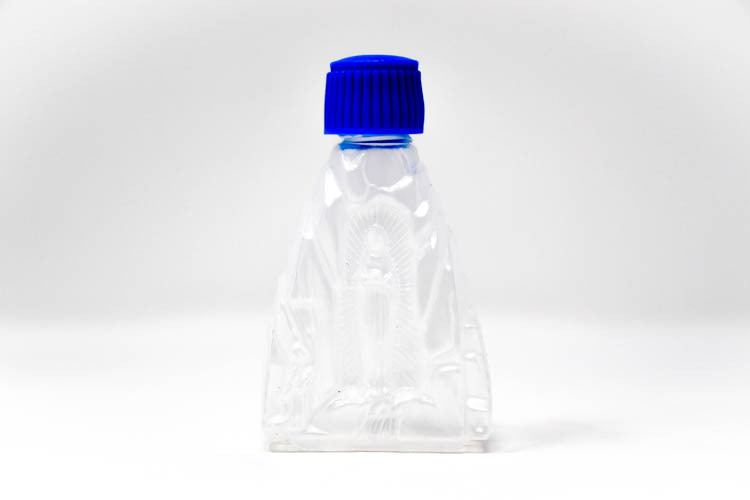 Bottle measures 7.5 cm tall 2 3/4" and contains 40ml of Lourdes water.